Especially great for feather gamechangers in particular. Palmered or collared, this stuff fills a flashy void in your patterns. Brought to us by Blane Chocklett and our friends at Hareline, Chocklett's Filler Flash serves as an excellent prop/support material for gamechanger and other style flies. Especially great for feather gamechangers in particular. Palmered or collared, this stuff fills a flashy void in your patterns. 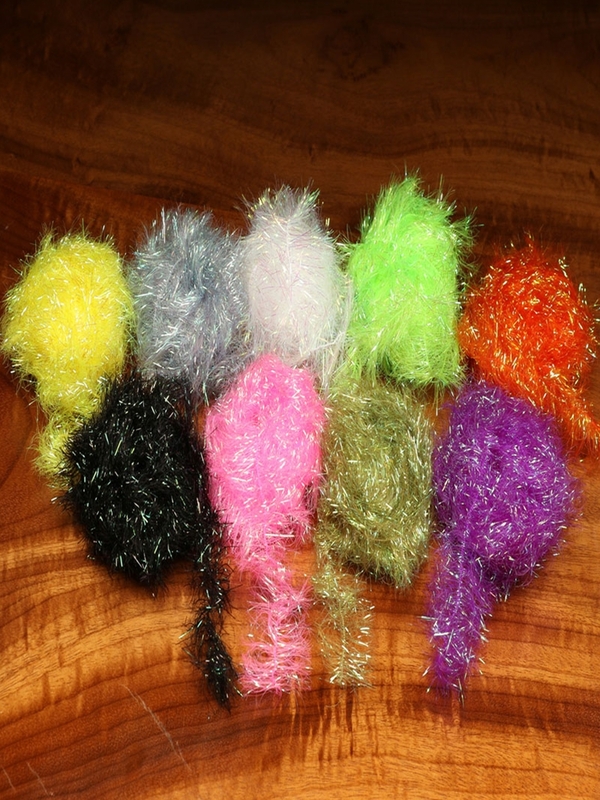 A corded material that is double sided, providing the ultimate prop flash combo for feather game changers and other streamers that necessitate a propping material. The woven cord has a slight stretch providing the ability to adjust the prop angle by fluctuating the material tension. Filler flash is not just limited to props though. Build a sparse body when wraps are spaced out on Wooly Buggers, Swinging flies and many other articulated patterns. Chocklett's Filler Flash is 1 1/2" wide and comes 3 yards to a package.